Insane. That is the only word that comes to mind when thinking about this week. This post is super late but I contemplated not even doing a post this week with everything that went on … but I couldn’t bring myself to skip a week in documenting this journey. So here I am. Most of my local readers can attest to the craziness of this past week, but for my out of state readers I’ll have to break it down for you. I live in the Florida Panhandle … most of you see us on the news for the Hurricanes that love to grace our beautiful beaches. This week Mother Nature unleashed a whole new type of disaster on us. We caught the tail end of the severe weather that spawned 52 tornadoes between Alabama, Mississippi, Georgia, and Tennessee. For those that know me know that when it comes to severe weather involving Tornado Warnings and Lightning that I can turn into a 5 year old in .2 seconds. 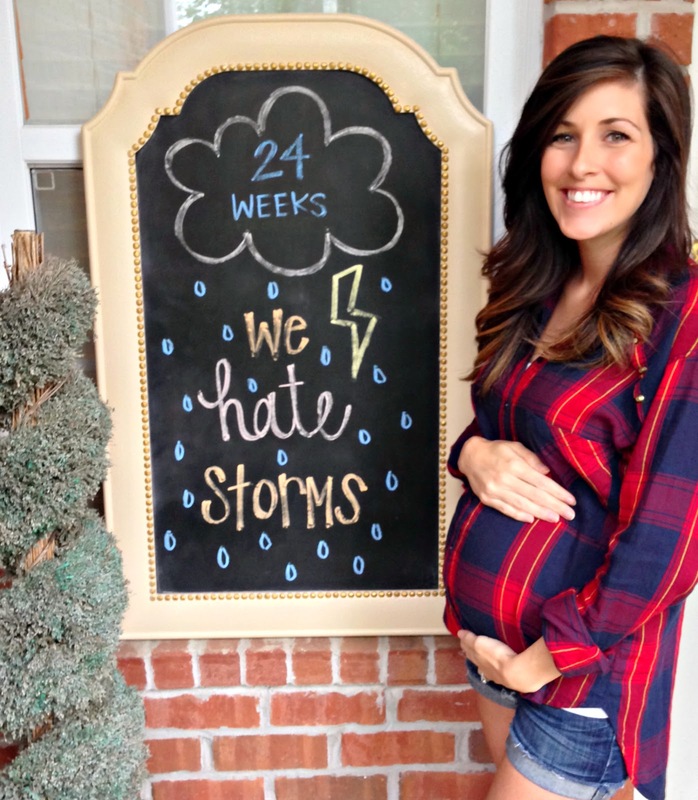 To say that I HATE storms is a huge understatement … and for some reason the fear is heightened during this pregnancy. I am a ball of anxiety and storms can literally bring me to the brink of insanity … so when we endured severe weather for over 24 hours you could probably imagine how fun of a time I had this week. I’ve lived here all of my life and have never seen anything like this storm. The lightning looked like a strobe light … it never stopped, like ever. Let’s not forget the ground trembling thunder that followed suit the entire night. We had Round 1 Monday night/Tuesday morning and the Tornado Warnings showed their face again around 8pm Tuesday night. Once the warnings started the weather did not let up until about 8am Wednesday morning. 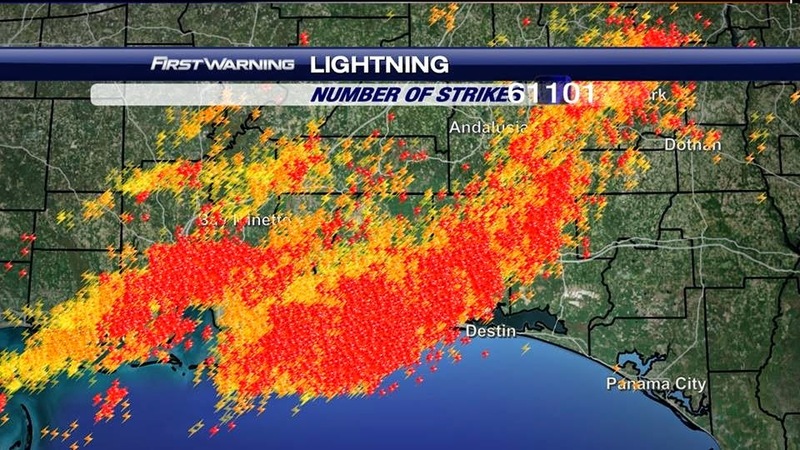 Our area received over 20″ of rain in a 12 hour period and over 60,000 lightning strikes per hour. NUTS. Not a wink of sleep, nerves on edge, and no power for 9 hours … we survived unharmed and thankfully with no damage. 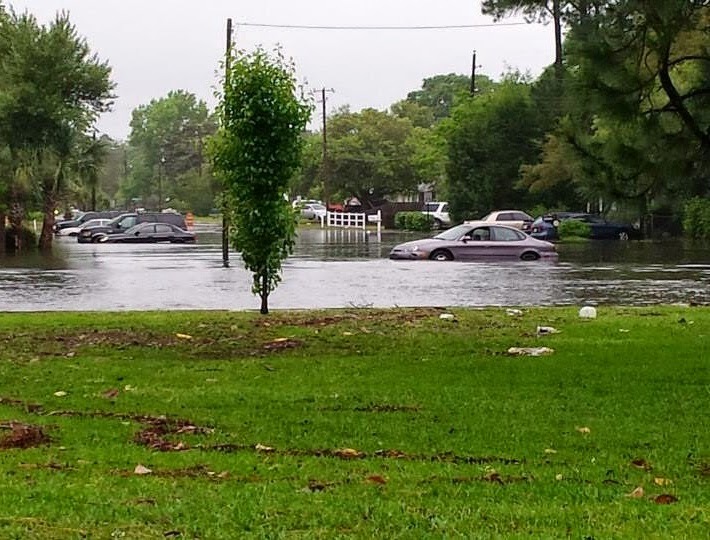 Most people woke up to water filling their homes and/or their cars, the city shutdown due to flooding, and while the severe threats were gone the rain continued for two more days. 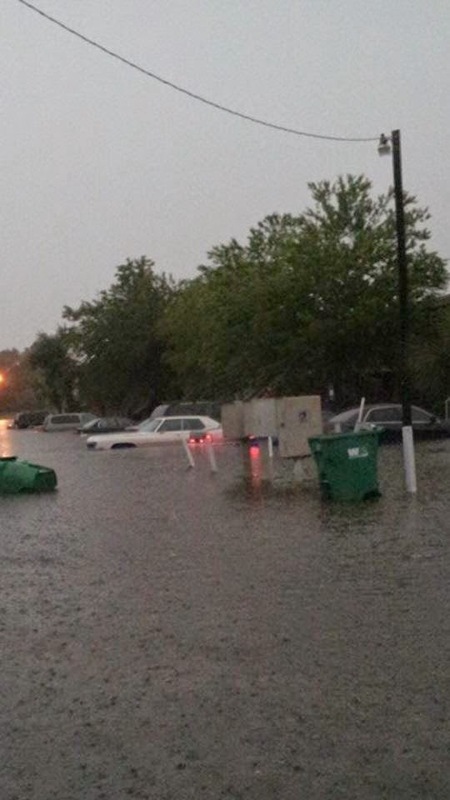 Below are some pictures of our neighborhood one street over … I don’t know how we managed to stay high and dry but I am incredibly thankful we did! 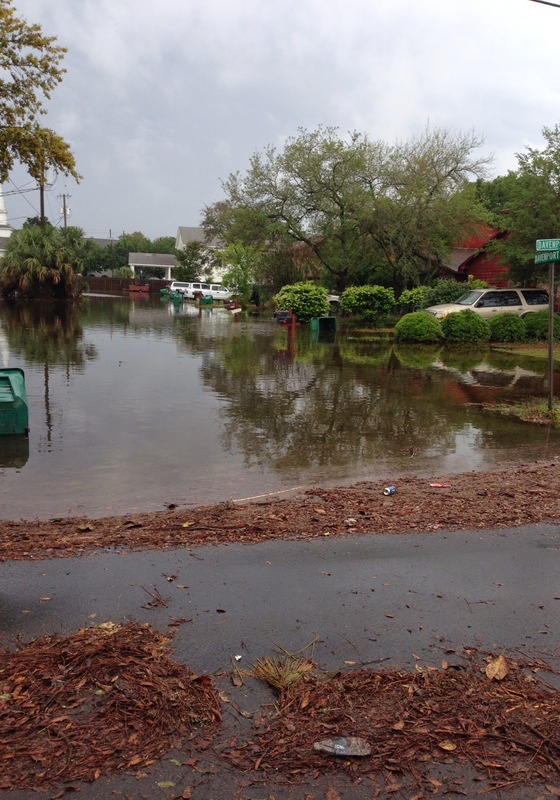 Although we were dry, our neighborhood roads were closed all the way around us due to flooding. 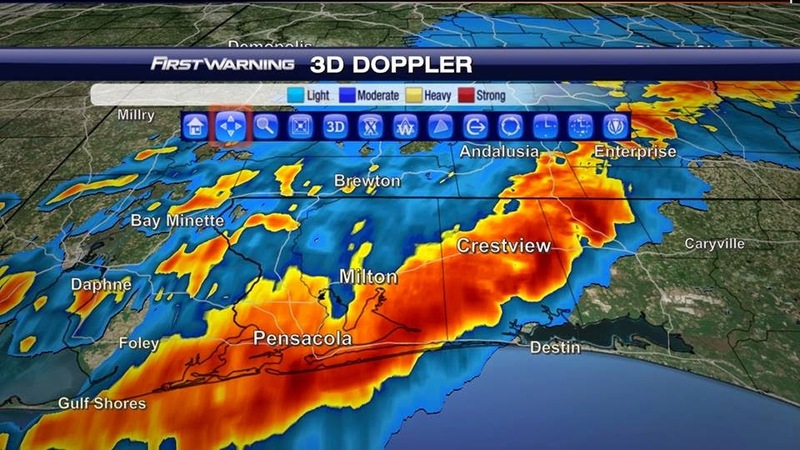 I also included some pictures from our local news station of the radar and lightning strikes so you can see the insanity! So happy that it’s over and this is in my future! Bring on the sunshine! Total weight gain? 15.7lbs … I’m not surprised with the amount of Chicken Minis and Blueberry Waffles that have been in my life. Maternity clothes? It’s a mix. I bought more stretchy dresses that I’m super excited about … they are seriously the most comfortable thing I wear besides PJ’s. Stretch marks? Nope. But during this lovely weather we had, I managed to sling boiling water all over my belly when stirring pasta … all it took was one good crack of thunder. There is a small mark and it’s still tender but no major blistering or anything. Hoping it doesn’t leave a permanent mark. Sleep? Do I even have to tell you it was terrible? I think I’ve slept a total of 8 hours this entire week. I could sleep for days right now! PEAK of the week? A supportive husband after lightning struck in our backyard. I’m pretty sure I pee’d my pants and he was so sweet when scared laughter turned in to tears of sheer fear. I was a hot mess and he handled it like a champ. PIT of the week? The weather. Miss anything? Missing sleep most of all right now. Movement? This girl boogied for 12 hours straight. I try so hard not to stress too much for her sake but with fear of severe weather I have no self control. I know I stressed this kid out with as high as my emotions were running … she did not stop moving and kicking the entire time we rode out the storm. I felt so bad and I’m hoping I didn’t do any permanent damage. Food cravings? Still Chicken Minis and Blueberry Waffles. Ugh, so good. Anything making you feel sick or queasy? Stress. It did a number on me. Gender? Girl … hopefully after this week she’s not a frazzled mess. Symptoms? Does your top half ever stop growing? (Rhetorical Question, I already know the answer.) I’m 5ft … I don’t know where else I have on this little body of mine to stuff these things. They are huge. Belly button in or out? It’s flat … the flatter it gets the bigger it looks. Happy or moody? Uh … let’s go with INSANE. I needed a straight jacket this week. Milestones? Baby weighs over 1lb … and my bladder definitely feels it! Looking forward to? Again, time off with the hubby for our Anniversary/Staycation.